Smart Elissim takes on a group of older horses at Caulfield in an attempt to earn a trip to the Gold Coast for the rich Magic Millions meeting. Lindsay Park has Smart Elissim nominated for the $2 million Magic Millions 3YO Guineas (1400m) at the Gold Coast on January 12. Senior trainer David Hayes said the three-year-old’s performance in Wednesday’s Frank O’Brien Handicap would determine whether he joins two-year-olds Champagne Boom and Sebrakate on the trip north. 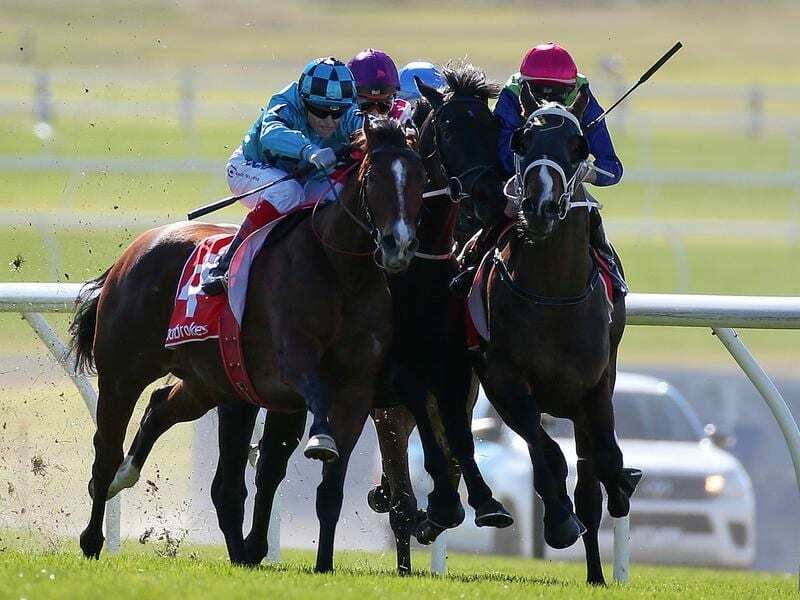 The gelding won his first two starts and was set on a Golden Rose path in Sydney in the early spring but that plan was abandoned after he ran ninth in the Run To The Rose at Rosehill. Smart Elissim was freshened but failed to feature in the Blue Sapphire Stakes at Caulfield before being given a break. He ran a fair third to the impressive Behemoth at Moonee Valley on December 1 with Hayes suggesting the step up to 1400m on Wednesday would suit. “It looks a good race for him,” Hayes said. “He’s got a good barrier, the distance suits and he’s going to be a bit fitter for this race. Champagne Boom will travel with Smart Elissim from Melbourne to the Gold Coast having returned to Lindsay Park after her last-start fourth behind Unite And Conquer in the Magic Millions Wyong Classic on December 12. A debut winner at Caulfield in October, Champagne Boom then finished third over the straight at Flemington on November 6. Hayes said she was thwarted by a wet track that day then didn’t enjoy any luck at Wyong. “She got flattened at her last start so it’s best to forget she went around,” Hayes said. After winning her first two starts, Sebrakate has performed well in Sydney in three starts including a last-start second at Warwick Farm on Saturday. Hayes said the three horses would travel up to the Gold Coast as close as possible to race day.